Submitted by Mason Hoberg on Jan. 29, 2018. 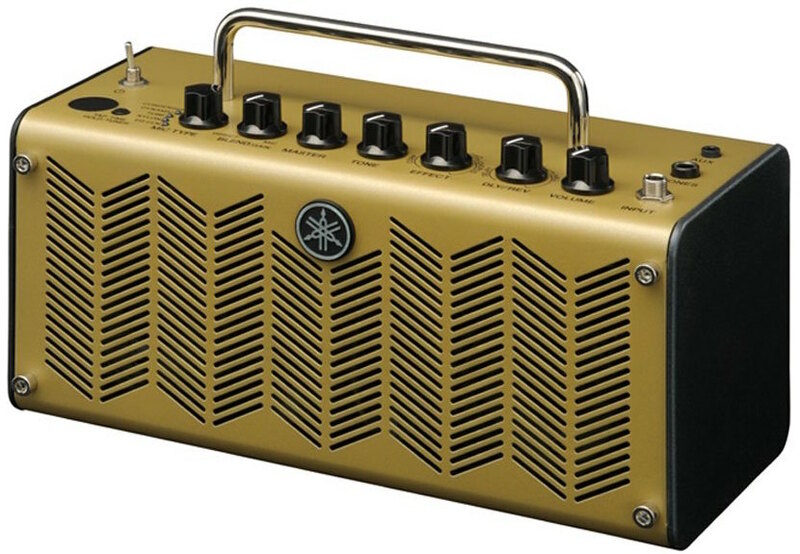 A battery powered guitar amp gives you the freedom to play on the go. Whether you’re busking, taking your guitar to a friend’s, or going to a lesson, a truly portable a amp is going to be a huge asset. If you’re not sure which battery powered guitar amp is going to be right for you, check out the sections below! 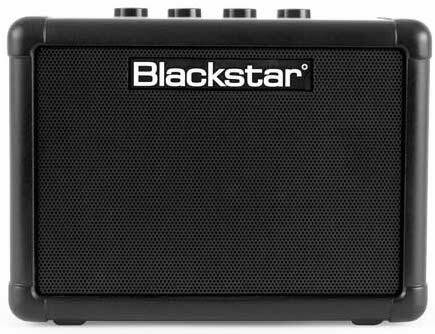 Blackstar’s Fly 3 Battery Powered guitar amp is a micro-practice amp, perfect for guitarists who are looking for portability. The cool thing about this amp is that it’s actually surprisingly versatile for a battery amp. The Fly 3 comes with a emulated tape delay (which on lower levels can be used to somewhat simulate reverb), an onboard overdrive, and the ISF control. The ISF control is essentially an EQ shifter, which changes the voicing of the amp. An interesting feature about this amp is that it actually has utility that goes above and beyond what most would expect from a battery guitar amp. You can use the amp as a portable speaker for your phone or laptop, and it even comes with an emulated line-out for plug and play recording. 91 out of 100. Incorporating 90+ ratings and reviews. 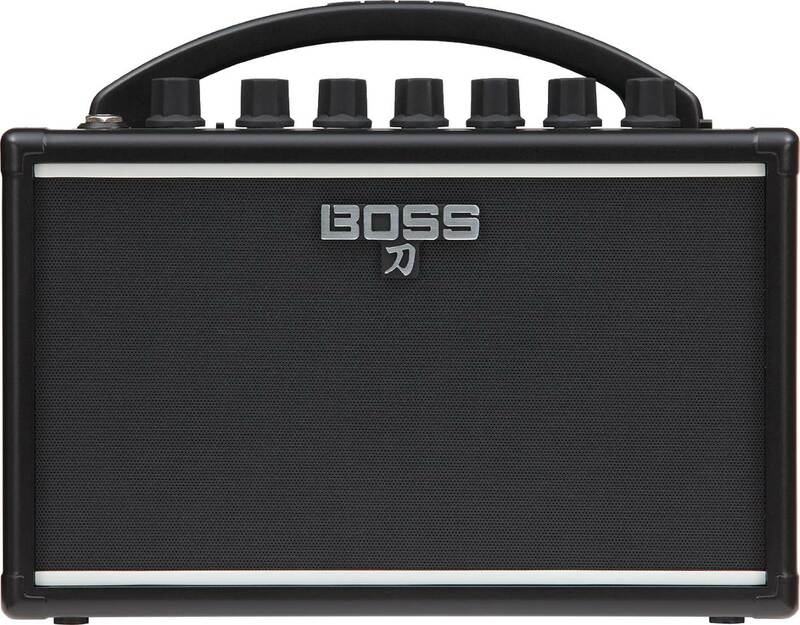 The Katana series of guitar amps were a success for Boss right from when they came onto the market in October 2016, so it was no great surprise in June 2017 when they added the battery powered Katana Mini to the lineup. The Mini scales back some of the offerings of the larger amps in the line, but with that in mind it still packs in plenty of great features. 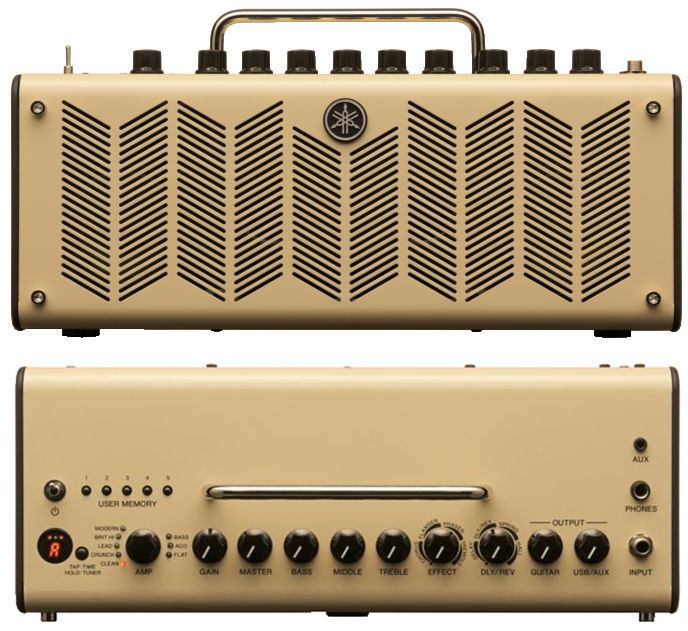 The amp comes with three different voicings: brown, crunch, and clean. Brown is a Marshall voiced amp, crunch features higher gain, and the amp also comes with a clean voicing (like based off the JC-120). Between these three different models the amp features a ton of great different tones, especially if you’re looking for an amp that can pump out blues and classic rock. The Katana Mini also comes with delay, which on lower settings can be used to somewhat resemble reverb. Roland is the champ when it comes to digital modeling. They’ve always been innovators in the field, and the modeling products produce by the brand rank amongst the best ever. With the Micro Cube GX, Roland has taken their famed modeling technology and put it into a portable package. The selling point of this amp is just how many effects it has. It includes eight different amp models (ranging from vintage cleans to modern high-gain tones), a chromatic tuner, modulation (chorus, flange, phaser, delay), as well as reverb. The amp also comes with a memory feature that allows you to store your favorite settings, and then instantly recall them. 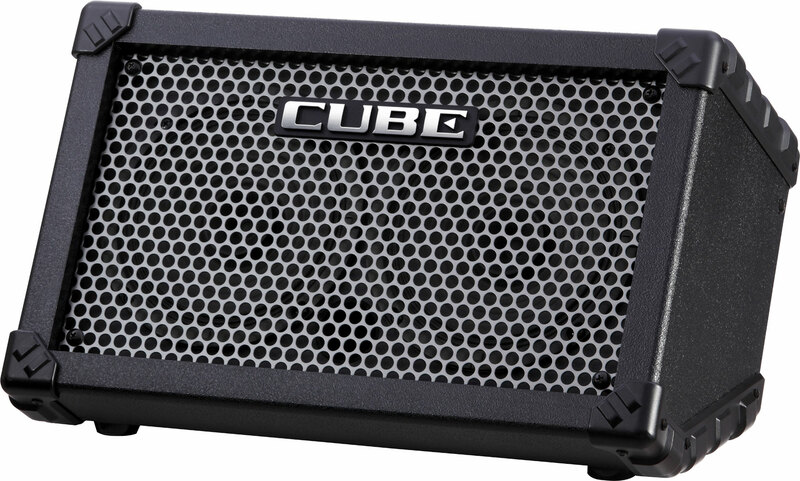 One thing to know about this amp is that it gets a lot of utility from its i-Cube link app. However, this app is only available on iOS devices. 90 out of 100. Incorporating 150+ ratings and reviews. 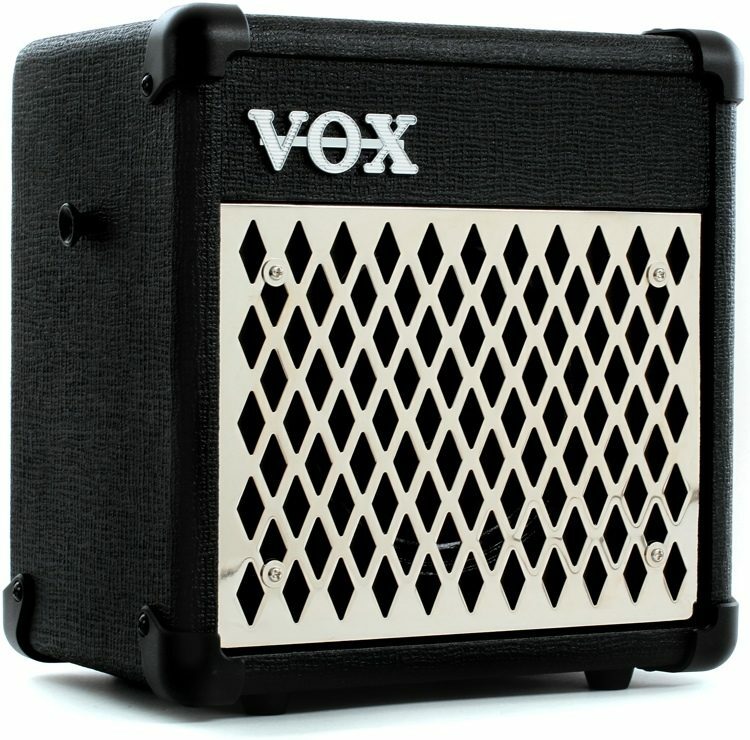 The key selling point of the Vox Mini5 is that it’s essentially a combination drum machine and guitar amp, giving it an unparalleled amount of utility for guitarists looking for a backstage warm-up amp or a phenomenal portable practice tool. Beyond the drum machine functionality, the Mini5 Rhythm also comes with a host of onboard amp models and effects. The amp models include Fenders, Vox amps, Marshalls, and even a Mesa Boogie. The effects include the most commonly used pedals, such as chorus, compression (a huge bonus for metal and country players in particular), tremolo, delay, and two different reverb models. The amp also comes with a tap tempo feature. Lastly, the Rhythm 5 also has a mic and AUX input, as well as a headphone out. 92 out of 100. Incorporating 200+ ratings and reviews. 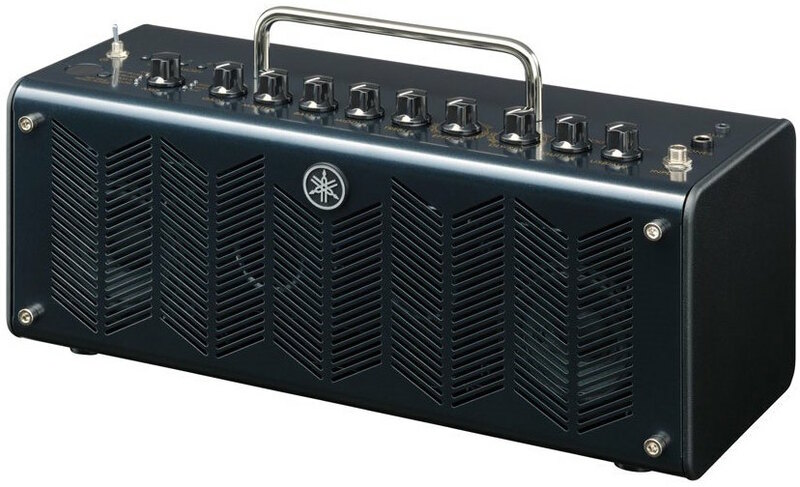 Yamaha’s THR5A is an acoustic-focused battery powered guitar amp. This is not a good amp to buy if you’re looking for something to use with an electric guitar. It’s designed to work with acoustic guitar exclusively, and the EQ and effects both reflect this. Beyond that, this amp is a great little unit if you’re looking for something that can capture the nuanced tone of an acoustic guitar. 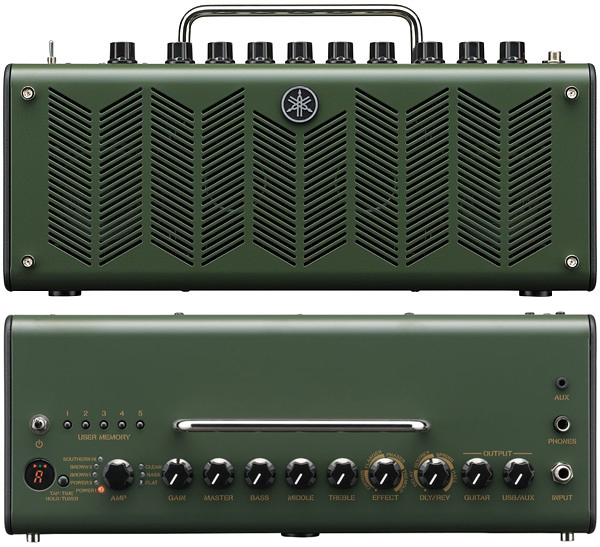 The amp models both condenser and dynamic microphones, as well as having a specialized setting for nylon guitars. The nylon setting in particular is great for slim bodied nylon guitars that don’t have the volume of larger instruments. The THR5A also comes with onboard effects. The including effects are as follows: compressor, compressor chorus, chorus, flanger, phaser, tremolo, delay, delay/reverb, hall reverb, spring reverb, and a noise gate. The Yamaha THR10C is a “boutique” amp modeler. An interesting feature of the amp is the design ethos behind it. A piece by NewsAtlas features a quote by Julian Ward (an Employee of Yamaha UK) which states ”…a lot of players are looking for what they think an am amp sounds like rather than what it actually sounds like”. Basically, the idea behind this amp is that Yamaha is modeling the sound of a high-end amp after being recorded in a professional studio. Controls: Amp, Gain, Master, Bass, Middle, Treble, Effect, Delay/Reverb, Output, USB/AUX output, Memory, Tap Tempo, Tuner. In practice, the amp produces the general vibe of the amps it models (Fender 65’ Deluxe Reverb, Matchless DC30, Fender Blues Junior, Marshall Bluesbreaker, DR Z Mini). The Yamaha THR10C also comes with a host of onboard modulation effects. The amp includes chorus, flange, phaser, tremolo, reverb, and delay. Through the use of the included modeling software you can also use compression and even change the emulated cabinet for each amp voicing. The Yamaha THR10X can be thought of as the high-gain version of the THR1C covered above. Both amps same a lot of the same features, but the THR10X has way more distortion on tap. The amp comes with voicings aimed at high gain, making it a snap to conjure up everything from classic rock to modern metal. An important feature of this amp is that it actually gives you the “bloom” in tone you get from turning up an amp at low volume levels. Lots of amps can’t do this, including other modeling amps. This has been my experience with my current amp, the Fender Mustang III. Even though it’s a solid-state amp, the tone opens up when the volume is raised past a certain point (which is still too loud for bedroom levels). The Yamaha comes with all of the modulation effects that the other Yamaha amps featured on this list are equipped with. The amp also gains more functionality when used with the included software. 92 out of 100. Incorporating 325+ ratings and reviews. Roland’s Cube Street is a busker’s dream amp, packed full of features that will make any busker’s life an order of magnitude easier. The amp is divided into two channels: microphone and guitar. Both channels have an individually controlled EQ and output level, though the microphone only features a bass and treble equalization control. The guitar channel models five different amps, including Roland’s own Jazz Chorus, a vintage Fender-style amp, a Vox amplifier, a Marshall amp, and a voicing for acoustic guitars. The Roland Jazz Chorus voicing in particular is a unique inclusion, because since it’s a Roland design a lot of amps don’t even attempt to recreate it. The Jazz Chorus is a famed solid state amp, known for its great clean tones (the amp’s most famous user is Bradley Nowell of Sublime). The amp also comes with modulation effects, including: chorus, flange, phaser, tremolo, delay, and reverb. The Yamaha THR10 is the least specialized of the THR series, making it a great choice for musicians looking for an exceptionally versatile amp. The THR10 comes with Fender, Vox, and Marshall voicings as well as a high gain mode. The THR10 also comes with a voicing for bass and acoustic guitars, as well as a “flat” setting for non-guitar sources such as an MP3 player. Like the other amps in the THR series, the THR10 comes with onboard effects. The effects are the same as those on the amps featured above (flange, phase, tremolo, reverb, delay) as well as compression that’s available through the included software. The amp also comes with tap tempo functionality as well as a tuner. 90 out of 100. Incorporating 200+ ratings and reviews. 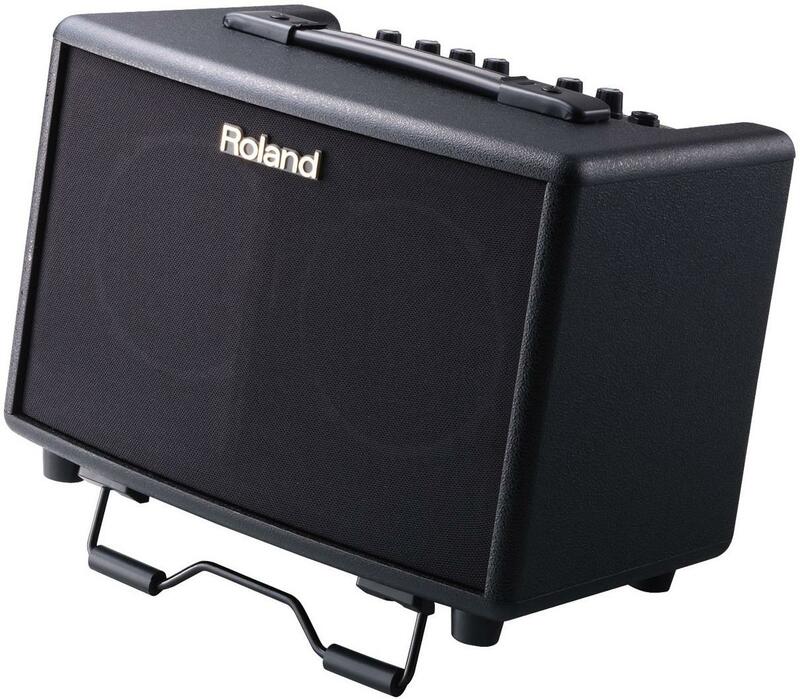 Roland’s AC-33 is a portable, battery powered amp aimed at acoustic musicians. The amp is designed to retain as natural of an acoustic voice as possible, which is great if you’re looking for a way to amplify your acoustic guitar while still producing an organic tone. 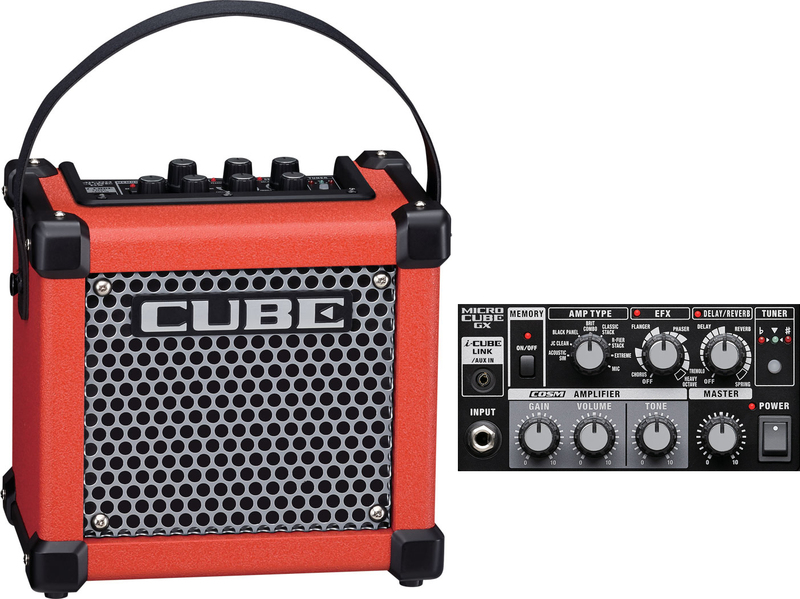 Like the Cube Street featured above, the amp also features a Mic channel with an independent EQ and volume control (the Mic channel also includes chorus). Weight: 10 lbs 6 oz. A really important feature of this amp, especially if you’re planning on playing outdoors, is the “anti-feedback control”. Put simply, an anti-feedback control helps to control feedback. It’s a very valuable tool to have if you plan on playing in areas with less than ideal sound. Lastly, this amp also includes looper functionality. This is great for live performances, though if you intend to use it to its fullest potential you will need to purchase a foot control. As features and power rating increase (power rating is the wattage of the amplifier) battery life is going to decrease. So amps that model effects are going to have a shorter battery life, and the louder the amp the less time the battery is going to last. However, this also depends on the type and amount of batteries used. While a more feature rich amp may consume more power, you may also get pretty good battery life. However, more batteries also makes the amp heavier, making it less convenient to travel with. Speaker size has a huge impact on your tone. The smaller the speaker the brighter and more focused it sounds, while the larger the speaker the more full and warm (more bass frequencies) it will sound. Most battery powered amps have a smaller speaker, but many actually have a depth of tone that’s incredibly impressive for the relatively diminutive size. The best middle ground in speaker size is 12”, which is why most speakers are this size. However, 10” and even sometime 8” speakers can still sound pretty warm. Many amps come with built-in effects. The most commonly found built-in effect is distortion, however many battery amps come with a variety of effects. Some standouts include: delay, chorus, and reverb. Built-in effects are awesome in battery powered amps, because having to haul around a bunch of pedals would somewhat defeat the purpose of having a battery amp in the first place. The only real downside to built-in effects is that they increase the cost of the amp and increase its weight. Battery powered amplifiers never really seem that heavy, but you’d be surprised how quickly the weight of an amp can become a huge headache. Even just having to carry your amp across a campus or into your guitar teacher's house can be a surprisingly strenuous activity; even if it seems like it wouldn’t be a big deal at first. Everything we’ve covered up until this point factors into portability. Weight is increased by batteries, the circuitry of the amp (which increases the more complex an amp is), and the speaker size. Submitted by cilla Te Ua Wiri (not verified) on May. 30, 2018. I haven't seen any battery powered amps with 3 mic inputs. You would need to either get a battery powered mixer in addition to an amp, or a battery powered PA. Submitted by Steve Landsberg (not verified) on Sep. 15, 2018. There is an amp that is close to what you're asking for: Fishman Loudbox Mini Charge (link to Amazon). The battery is rechargeable and it comes with an A/C adapter, the only thing is that I don't know is if it specifically uses a lithium ion battery. I've also updated our rating for it which you can see here. Submitted by Anonymous (not verified) on Nov. 27, 2018. Why do they all run on AA batteries? I want an amp with serious power that will run on my rechargeable drill battery pack.